Cushions are the icing on the cake when it comes to nursery decoration. They soften the edges, bring balance and add a sense of homeliness to a room and there is a colour or pattern to fit every theme. If you are looking to take it to the next level in your cushion love affair though, you really need to consider shape and texture. 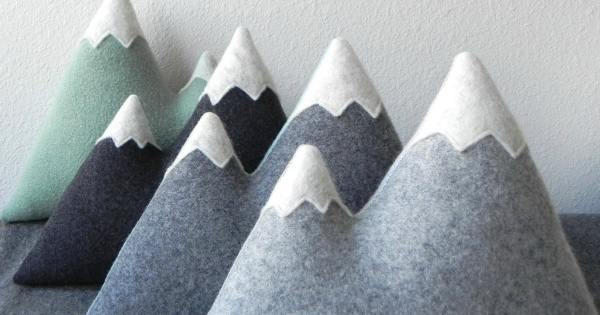 Three Bad Seeds have a beautiful range of cushions that are essentially functional works of art. Inspired by nature, Amanda Weiss created her company as a family adventure in homemade handiwork back in 2009. 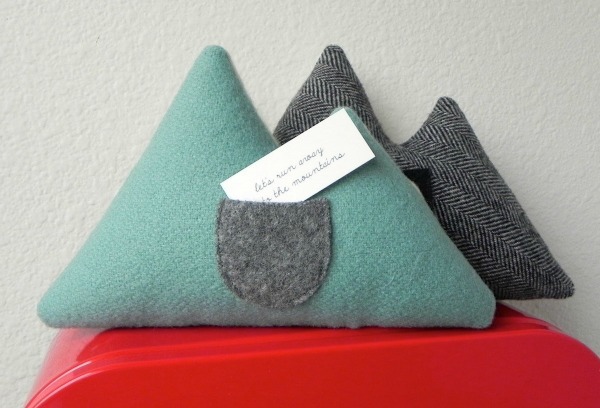 Her uniquely shaped cushions, individually designed and handcrafted from wool and linen, are beginning to garner worldwide attention. 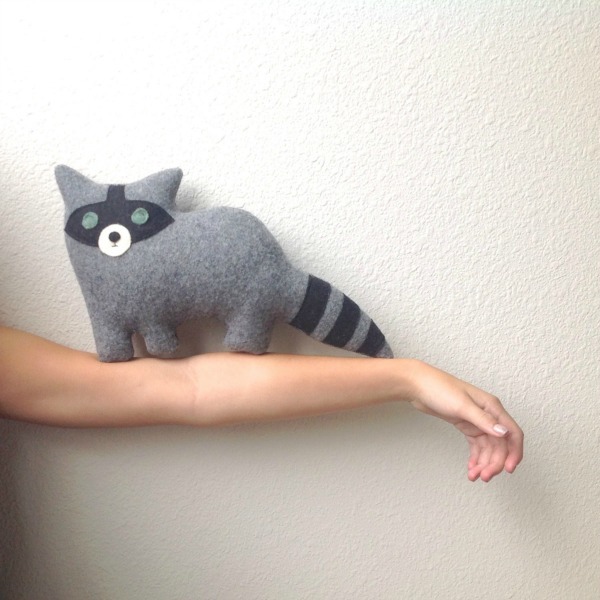 The designs are based on drawings by Amanda’s family members and she sources wool from vintage jumpers and blankets at local thrift stores as well as cast offs from a nearby wool mill. 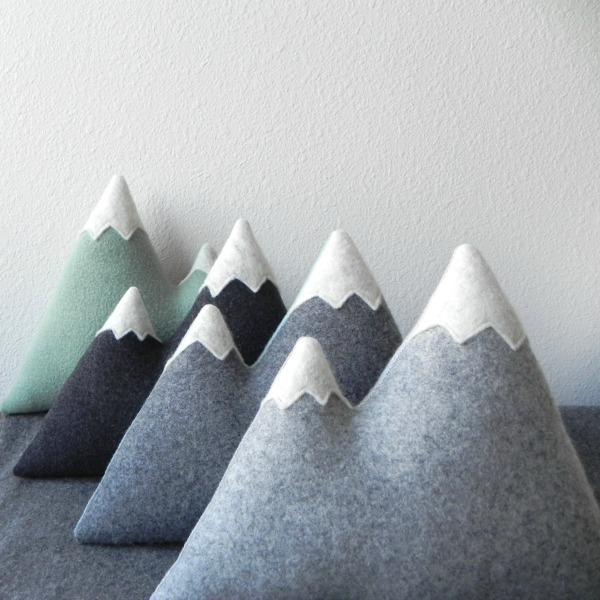 The mountain peak pillows are the signature range in the ThreeBadSeeds collection and are inspired by real mountains in north west USA, where the company is based. There is a gorgeous selection of animal cushions that your little animal lover will adore and the mini mountain pocket pillows could hold all sorts of untold treasures. ThreeBadSeeds cushions would work perfectly in a bedroom or playroom that has a woodlands or camping theme and is an inspired way to bring the outdoors in. You can buy ThreeBadSeeds cushions from their Etsy store. They are based in the US, but do ship internationally.